FAYETTEVILLE, Ark.  The No. 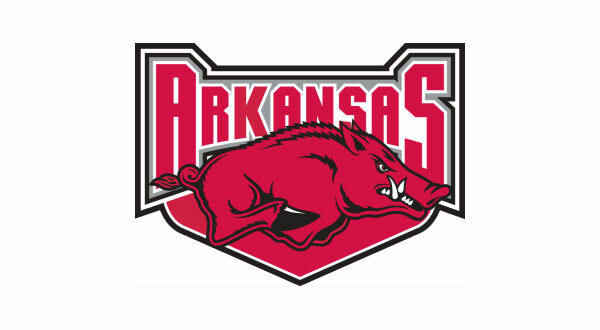 19 University of Arkansas softball team jumped out to an early lead Sunday on its way to a 6-3 win over No. 15 Alabama to post the programs first-ever series win over the Crimson Tide. Freshman Mary Haff was solid in a complete-game performance for her 20th win of the season while fellow freshman Hannah McEwen recorded two hits and two RBI in the triumph. With Sundays win, the Razorbacks improve to 33-9 overall with an 8-7 mark in SEC play. The teams 33 wins are its most since a 36-win campaign in 2013. Additionally, Arkansas now seven wins against ranked opponents this year. Down to their final nine games of the 2018 season, the Razorbacks hit the road next weekend for a series at No. 8 Auburn. All three games are set to be streamed on SEC Network+ via the WatchESPN app. Arkansas returns to Bogle Park in two weeks to host Ole Miss. The home series finale begins Saturday, April 28 at 3 p.m.
At 20-3 on the year, Haff is the first pitcher in the SEC this season to reach the 20-win mark and the first Arkansas freshman to do so since Heather Schlichtman (26) in 2001. McEwen was one of three Razorbacks with multi-hit efforts Sunday along with seniors Autumn Buczek and A.J. Belans. With the bases loaded in the home half of the first, freshman Kayla Green lifted a sacrifice fly to center field which allowed McEwen and Buczek to score when the throw got past the catcher and rolled to the backstop. The advantage grew to 3-0 after back-to-back doubles from Green and junior Ashley Diaz in the third inning. In the circle, Haff battled through runners being on base in each of the first three innings of the game. Alabama (26-13, 7-8 SEC) had runners at the corners in the first frame but Haff cut the threat short with her first strikeout of the game. However, in the fifth inning, Kaylee Tow hit a solo home run to left center to put the visitors on the board and cut the lead to two. Arkansas padded its lead with three runs in the sixth inning. With two in scoring position, McEwen knocked a two-run single up the middle which pushed her RBI total to 43 this season. The Razorbacks final run came on a heads-up play by pinch runner Sydney Parr scoring from third when a pitch got away from the catcher on a strikeout that extended the play. The three spot in the sixth proved beneficial after Tow hit her second home run of the game in the seventh, a two-run shot to right field that cut Arkansas lead to 6-3. But after giving up a single to left, Haff got Gabby Callaway to ground out to first to end the game and clinch the series win.